Liczba stron: 751 Jest to ujednolicona liczba stron, która ułatwi Ci porównanie długości książek. Każda strona Legimi to 200 słów. Mosses from an Old Manse is a short story collection by Nathaniel Hawthorne, first published in 1846. 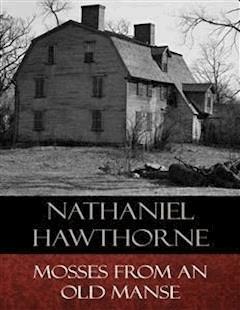 Many of the tales collected in Mosses from an Old Manse are allegories and, typical of Hawthorne, focus on the negative side of human nature. Hawthorne's friend Herman Melville noted this aspect in his review "Hawthorne and His Mosses":"This black conceit pervades him through and through. You may be witched by his sunlight,—transported by the bright gildings in the skies he builds over you; but there is the blackness of darkness beyond; and even his bright gildings but fringe and play upon the edges of thunder-clouds. "William Henry Channing noted in his review of the collection, in The Harbinger, its author "had been baptized in the deep waters of Tragedy", and his work was dark with only brief moments of "serene brightness" which was never brighter than "dusky twilight". Featuring tales written over a span of more than twenty years, including such classics as “Young Goodman Brown,” “The Birthmark,” and “Rappaccini’s Daughter.” Herman Melville deemed Hawthorne the American Shakespeare, and Henry James wrote that his early tales possess “the element of simple genius, the quality of imagination. That is the real charm of Hawthorne’s writing—this purity and spontaneity and naturalness of fancy.”Nathaniel Hawthorne (1804–1864) was an American novelist, dark romantic, and short story writer. Hawthorne published his first work, a novel titled Fanshawe, in 1828; he later tried to suppress it, feeling it was not equal to the standard of his later work. He published several short stories in periodicals, which he collected in 1837 as Twice-Told Tales. The next year, he became engaged to Sophia Peabody. He worked at the Boston Custom House and joined Brook Farm, a transcendentalist community, before marrying Peabody in 1842. The couple moved to The Old Manse in Concord, Massachusetts, later moving to Salem, the Berkshires, then to The Wayside in Concord. The Scarlet Letter was published in 1850, followed by a succession of other novels. A political appointment as consul took Hawthorne and family to Europe before their return to Concord in 1860. Hawthorne died on May 19, 1864, and was survived by his wife and their three children.